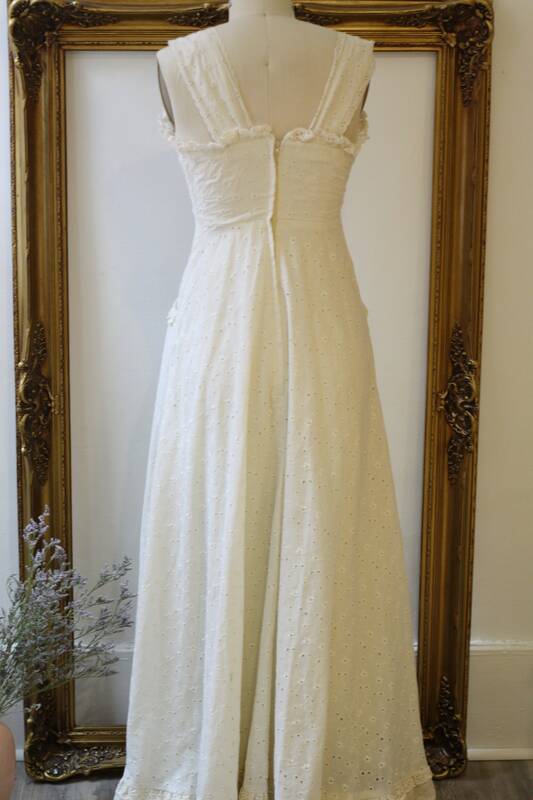 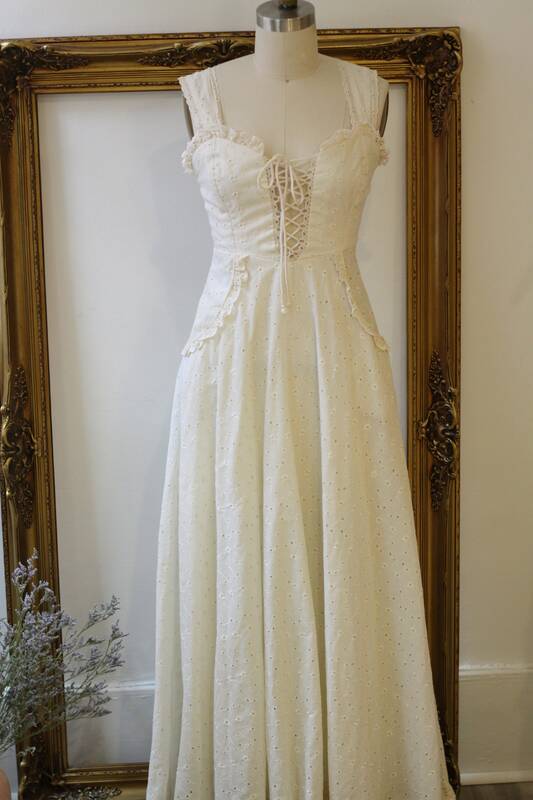 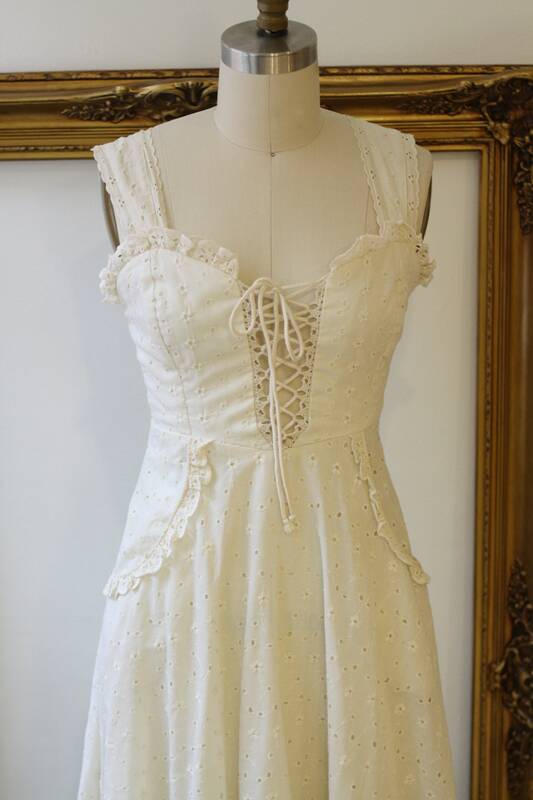 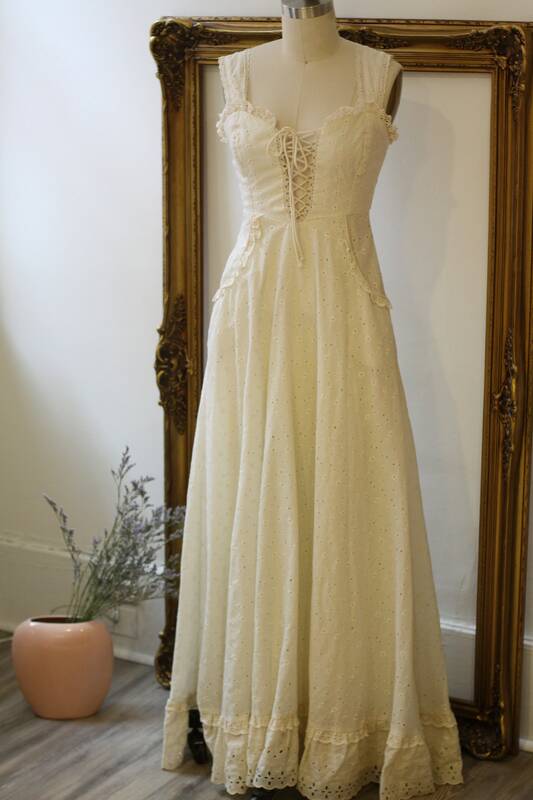 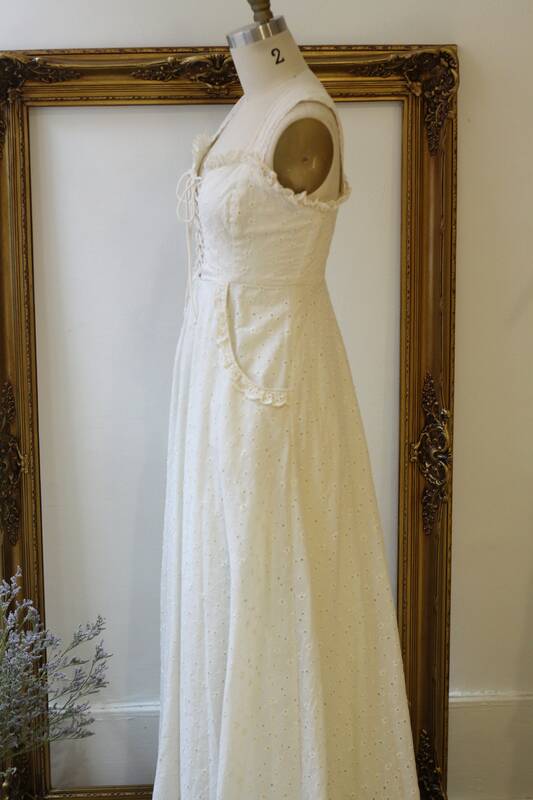 1970s full length dress in a white cotton eyelet fabric. 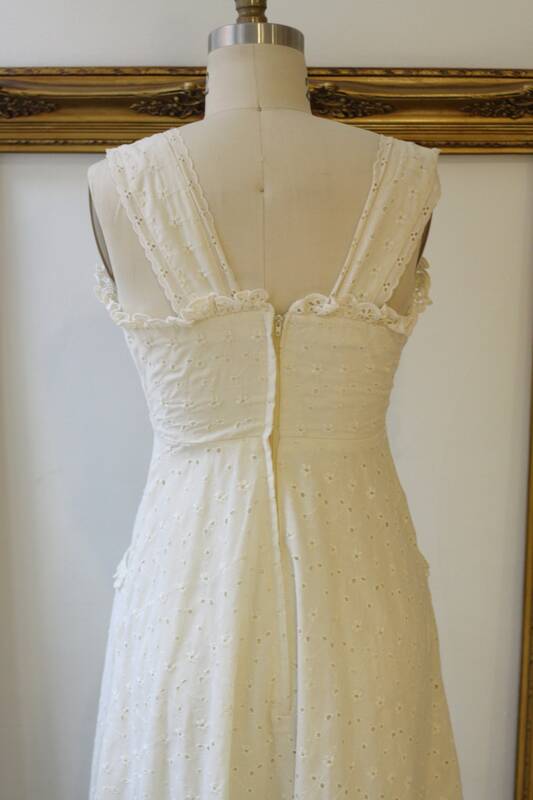 Two front facing pockets and a tie up neckline in a sweetheart shape. 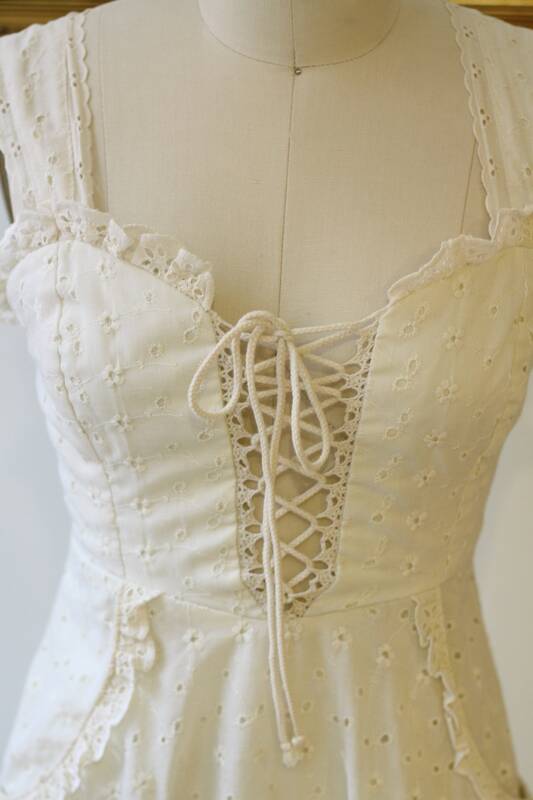 Sweet ruffles around the pockets, neckline, and the base of the dress. 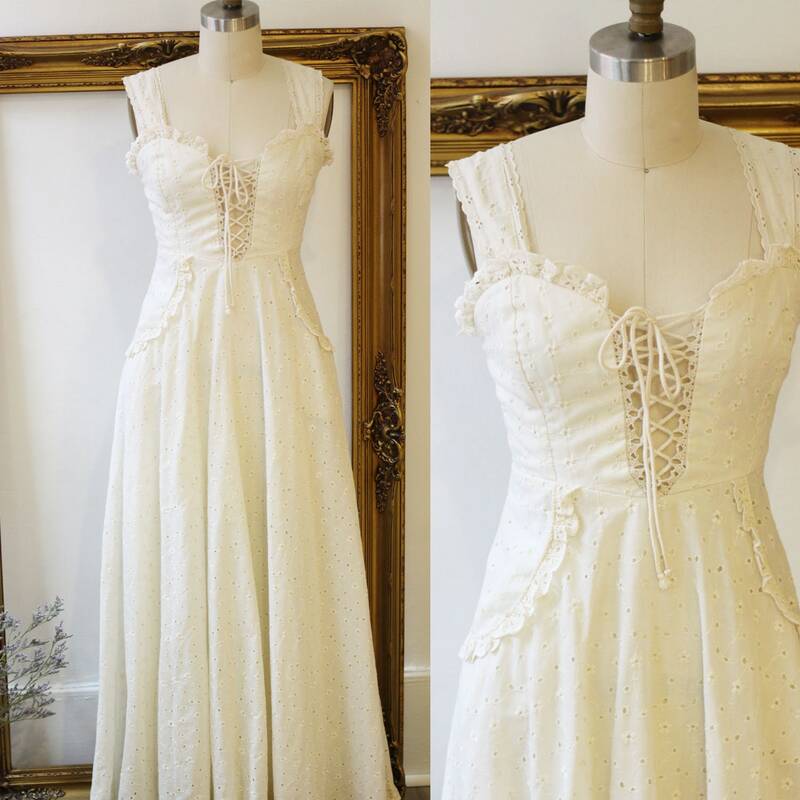 This could be a great option for a boho or casual wedding. 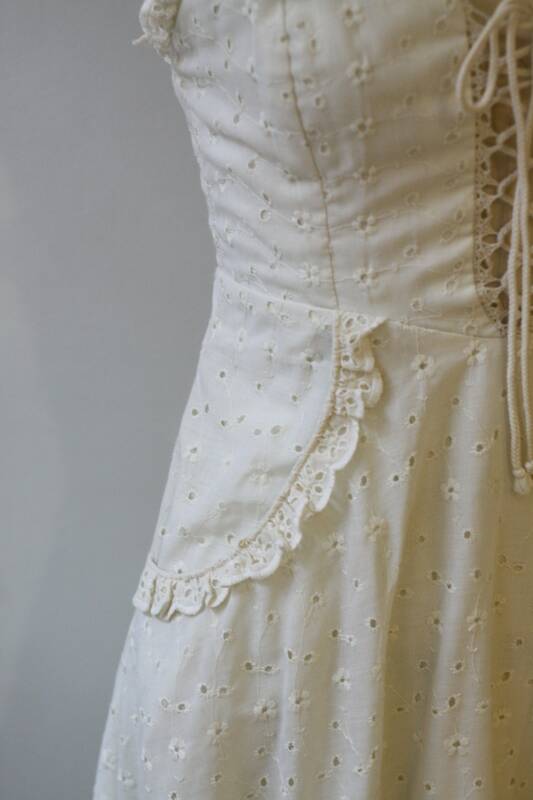 The dress skirt is lined but is still light and moves well when worn.